I know you’re thinking right now, “Two back to back featured car posts?! I don’t believe it.” Well, believe it. That’s just how awesome we are. 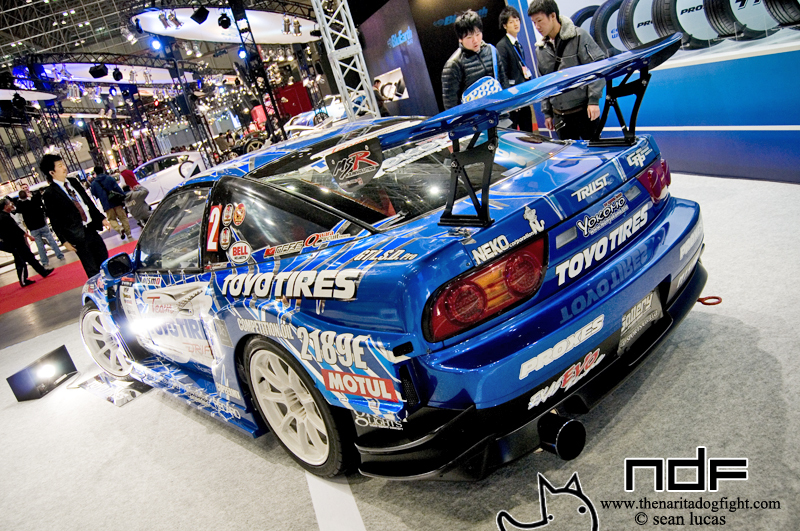 All jokes aside, I’m not sure why it took me so long to post this car up, as it has massive popularity among drift fans. D1-GP reverse-entry guru Masato Kawabata is the man responsible for piloting this ridiculously hot, 600 horsepower 180sx sideways through all the corners. I spotted the S all alone, basking in the light at the Toyo Tires booth as we were getting ready to take off from the Auto Salon in search of another UP Garage. So I decided to get up close and personal with it. Sit back and enjoy the shots!